A yoga teacher training is a wonderful, immersive experience. 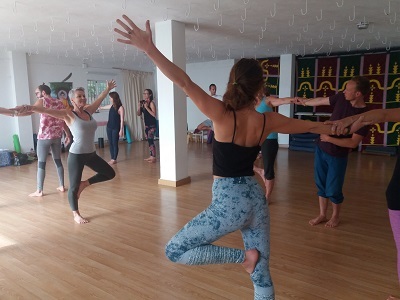 Whether you aim to deepen your own pratice or want to share yogic practices as an instructor, a teacher training course can bring lots of learning into your life. 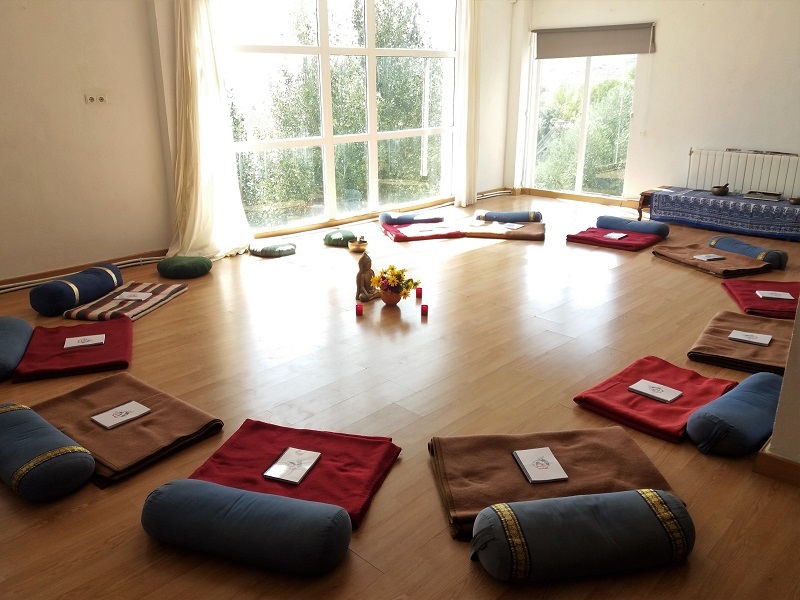 Together with the lead teachers of Inspirayoga, I invite you on this journey to the self in the magical Alpujarra mountains of southern Spain. 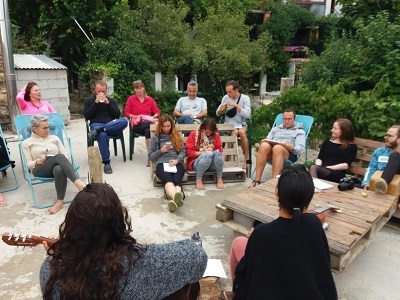 This 3-week intensive takes placeat the beautiful Cortijo Caseria Del Mercado, a small organic farm up in the mountains of Andalucia. Both shared and single accommodation is offered. This traditional Spanish country house stands on a land boasting olive and fig trees. The farm produces its own almonds, tomatoes and various other fruits and vegetables. In your free time, you can rest at the swimming pool and use the various indoor and outdoor eating spaces. 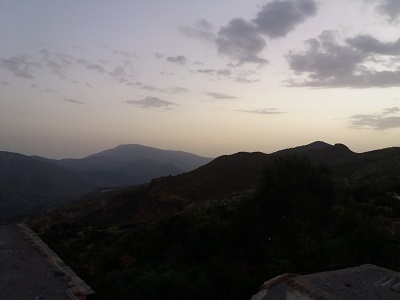 There are also more secluded nooks of the cortijo where you can rest, or simply watch the sunset from a rooftop of the traiditional buildings. 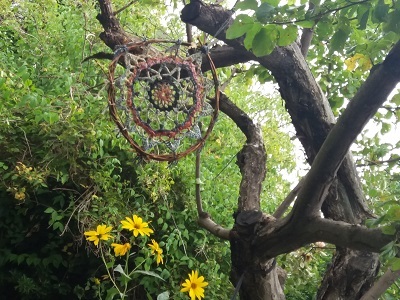 On your journey of spiritual practice, this area oozing beautiful and fresh energy will surely support you. The local area is fantastic hiking country with spectacular mountain views and isolated “white villages”. The closest major cities include Granada, Almeria, Jaen and Malaga. The closest airport, Granada, is one hour away from the venue, Malaga is only a little further away and offers many cheap international flights. The nearest beach is just over an hour away. The closest town to the venue is Orgiva. At the farm house, you can choose to book a private room or shared accommodation. There are several toilets and five fully equipped bathrooms. There are also two washing machines for students to use if required. During the training yogic breakfast will be provided 6 days a week. All other meals will be self-catered. There are four fully equipped kitchens available with fridges and ovens and you will have the opportunity to go shopping at a large supermarket a few times during the training (transport will be provided free of charge by the venue). 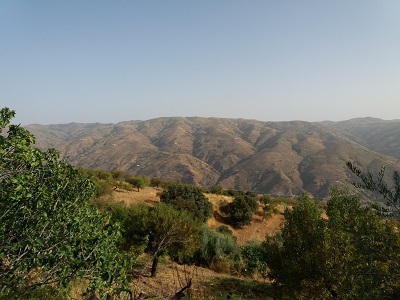 Alternatively, there is a bus from the local village of Castaras (approximately 15 minutes walk away) to the town of Orgiva, 30 minutes drive away. 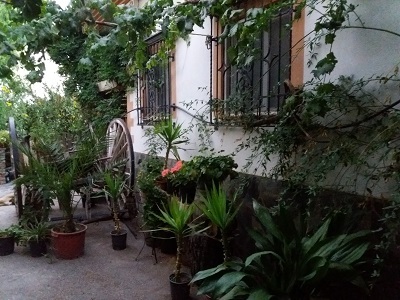 Castaras does not have any shops but it does have two inexpensive tapas bars where you can eat snacks and relax. With multitudes of yoga teacher trainings being offered every year, it is not easy to choose the right course for you. Feel free to get in touch with me if you would like to get to know more about the training’s details, about the venue or the teachers. I will be happy to help and hope to see you in Spain!